In Alberta, the term Adult Interdependent Partners (AIP) is used instead of "common law" partners. The Adult Interdependent Relationships Act defines a ‘relationship of interdependence’ as a relationship outside of marriage in which two people: share one another’s lives; are emotionally committed to one another; and function as an economic and domestic unit. The relationship does not have to be romantic to meet these criteria. A written statement of fact either sworn or affirmed by the person making it. It is a form of evidence that is filed to be considered by the judge in deciding a particular matter. An Affidavit which sets out the manner, time and place that a particular court document(s) was served upon a person. It is usually filed with the court as proof that a person was served with a particular document(s) in accordance with an order or rules of the court. Assault which wounds, maims, disfigures or endangers the life of the victim. This is committed when the attack wounds, maims, disfigures, or endangers the life of the victim. A person who applies for a court order. For example, when someone applies for an Emergency Protection Order or a Restraining Order, they are called the applicant. The person against whom the order is being sought is called the respondent. Sometimes also called common assault, includes applying intentional force, threatening to apply force, causing another person to believe reasonably that the abuser has ability to carry out a threat of assault. This could also include confronting someone while angry and holding a weapon openly (or something that looks like a weapon). A charge is a criminal accusation against someone. The phrase "laying charges" comes from a legal process, which is called laying an information. In order for a criminal matter to begin, an information has to be laid by someone who believes that an offence has been committed. An "assault charge" involves laying an information against someone who you believe has committed an assault. Assault while using, carrying or threatening to use a weapon that actually causes physical harm. Bodily harm is any injury that interferes with health or comfort and is more than just a passing concern. Examples are an assault when you are beaten with a baseball bat, assault when you get a black eye or broken bone, or a threat to use a weapon. A charge is a criminal accusation against someone. The phrase "laying charges" comes from a legal process, which is called laying an information. In order for a criminal matter to begin, an information has to be laid by someone who believes that an offence has been committed. Civil law deals with divorce, custody and access to children. It is also possible to apply for a restraining order or emergency protection order in the civil courts which requires a named person to stay away from you. There are both provincial and federal statutes that deal with divorce and separation issues. It can be quite complex, so you might need the assistance of a lawyer or a social agency. Conditional Permanent Residence means that the sponsor and sponsored partner must live together in a genuine, marriage-like relationship for 2 years from the date the sponsored partner becomes a permanent resident. If a sponsor is abusing or neglecting their sponsored partner, the sponsored partner can request an exception. The exception will allow them to end the relationship and keep their permanent residence status in Canada. Voluntary agreement to engage in sexual activity. In Canada, the standard of consent goes beyond “No means no” to “Yes means yes”. Silence or passivity does not equal consent. Each persone must want each specific sexual act the whole time it’s happening. If someone is pressured or intoxicated they cannot give consent. When a person harasses another person. This includes constantly following, communicating, watching or threatening conduct towards someone and/or their family. In Canada, some acts of abuse are defined as crimes. The Criminal Code of Canada describes the different offences that someone can be charged with if they are accused of abusing their partner. It is important to remember that whenever a person is charged with a criminal offence he or she is innocent until proven guilty. In order to prove an offence has been committed, they need evidence. If you have been abused, consider keeping a record of the times when you are abused or when you get medical treatment. This record may be useful as evidence. Showing complete disregard for someone's life or safety by doing something, or not doing something when there is a legal duty to do or not do the act. If someone dies as a result of an act of criminal negligence, the person who committed the act could be charged with murder. Causing harm by criminal negligence to someone that constitutes any hurt or injury that interferes with their health or comfort and is more than just a passing concern. This is when criminal negligence is a contributing factor to the death of someone. An act that breaks a law on how to behave in society. The harm caused is seen to be against society as a whole, not just a specific person. Sometimes it refers to the specific law that was broken. A lawyer who is authorized to represent the Crown (i.e. the state) in court. They are not the lawyer for the police or for victims or complainants. The crown attorney is the representative of the public. Crown attorneys may also be referred to as Crown counsel, Crown prosecutors, or prosecutors. The ‘Crown’ is the state or government that represents the public interest in criminal cases. Crown may also be used to refer to Crown attorneys, Crown counsel, Crown prosecutors or prosecutors. A lawyer who is authorized to represent the Crown (i.e. the state) in court. They are not the lawyer for the police or for victims or complainants. The crown prosecutor is the representative of the public. Crown prosecutors may also be referred to as Crown attorneys, Crown counsel, or prosecutors. The lawyer for a person charged with a crime. Also called defense counsel. Digital abuse is the use of technology like texting and social networking to harass, stalk or intimidate a partner. It is a form of emotional and psychological abuse. A discharge is when a judge decides a person who has been found or has plead guilty will not have a conviction or criminal record. There are two types: 1. Absolute discharge means the person will not have a criminal record. 2. Conditional discharge means the person will not have a criminal record only if they successfully complete certain conditions. Duty counsel provides free legal advice and assistance to people without a lawyer who are making their first criminal court appearance. 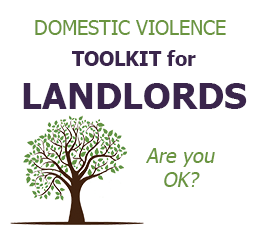 A tool to protect an abused family member. This order can say that an abusive family member must temporarily leave the home, cannot contact other family members, and cannot come near their home, workplace or school. The police can, if authorized, also take away guns, knives, and other weapons. An application for a restraining order made without giving the other person any notice, so that the order may even be available that same day. If an order is granted on an ex parte application, the court will give a future date when the order will be reviewed by the court so that the person who is named in the restraining order can be present if they wish. In the meantime, the order will be effective as long as a copy of the order is served on the respondent. When a person forces or tries to force someone to do something by using threats, accusations, menaces or violence without any reasonable justification or excuse. The offence can also be committed by threatening, menacing or using violence against a third person in order to get another person to do something. This offence occurs when someone does not provide the necessaries of life to their spouse or common-law partner, children, and any other person they are legally responsible for. Necessaries of life mean can include food, shelter, heat, medical aid. This is where a person intends to injure or scare someone by sending or causing false information to be sent by letter, telegram, telephone, cable, radio or otherwise. This also includes making indecent phone calls to scare or annoy someone and making repeated phone calls to harass someone. Even if the calls are just annoying, for example, where the caller simply hangs up each time the call is answered, the offence may be committed. When an abuser makes the other person completely financial dependent and maintains control over their finances (money). Money paid when someone has violated a law. This happens when a person is confined or imprisoned against his or her will. The person who is responsible for the care, maintenance and well-being of the child. Guardians have specific powers, responsibilities and entitlements under the Family Law Act. Any adult who has had the continuous care of a child for a period of more than six months may apply to the Court for a private guardianship order to become the guardian of the child, if the child and the applicant reside in Alberta, and if the child is not in the care of the Alberta government. Temporary custody that lasts until a judge makes a final decision. It can be arranged through a court order, lasting only until there can be a full hearing in court if necessary, or until parents can reach an agreement. Parents can also agree about who will have interim custody without a court order and make an agreement. The power to administer justice regarding a certain area of the law or within a certain territory. Municipal, provincial, and federal governments all have different areas of jurisdiction. For example, family law is a provincial matter and criminal law is a federal matter. This person administers oaths, issues subpoenas, summonses and warrants and performs other court-related duties such as conducting bail hearings. Murder can be reduced to the lesser charge of manslaughter when it was committed after provocation in the heat of passion; murder when there was no specific intent to kill. Mischief includes deliberately destroying or damaging property and making property useless, inoperative, or ineffective. Murder can include: - Causing the death of a person with the intention of doing so, or acts with the intention of hurting a person knowing that it is possible that death will occur; - Causing someone else to die while intending to kill or harm another; and - Causing death to someone while trying to achieve an unlawful goal (e.g. theft), even though may not have intended to kill anyone. A criminal court order that sets out specific conditions to protect someone's safety or property. For example a judge can make an order about possession of firearms, non-attendance at certain premises, and non-communication. It can be ordered when there is reasonable fear an individual will hurt another person or cause damage to their property. Any aggressive action such as pushing, pinching, squeezing, shaking, grabbing, biting, slapping, punching, kicking, or choking. It also includes throwing objects or using a weapon. Probation is a court order that allows a person who has been convicted of a crime to remain in the community, if they agree to do certain conditions for a set time that can last up to 3 years.A person who gets a conditional discharge or a suspended sentence will always have a probation order that they must follow. To start and carry out legal proceedings against a person who has been charged with committing a criminal offence. A court order to protect a person from violence or harassment. To cause emotional pain and suffering. This may include constant verbal attacks on self-esteem, repeated accusations of cheating, threats of suicide, control over friends and money, and threats of harm to others. The person against whom a court order, such as an Emergency Protection Order or a Restraining Order, is being sought. The person who is seeking the order is call the applicant. A restraining order is an order made by a court which orders a person or persons to stay away from another person. The order can include how far away the person must stay away and where the person must not attend or try to contact the other person. This can be used to protect children in their care. Stealing from someone using violence or threats. The penalty a person receives after being found guilty of or pleading guilty to committing a crime. Delivering a legal document to the required person according to the rules of court. Somebody touches you in a sexual way on purpose, directly or indirectly, without your permission. Sexual assault can occur between married partners. When you are making an application for a restraining order against someone you may have to fill out a "Statement of Description" with information about what they look like. A court order telling you where and when to be in court. An act of violence towards another person. Bodily harm is any injury that interferes with health or comfort and is more than just a passing concern.